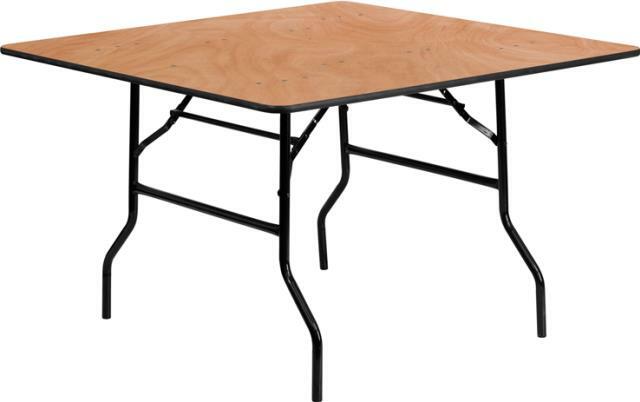 48"x48" square table. Seats 4 comfortably, up to 8 if you do not use full place settings. Best for formal dinner seating.